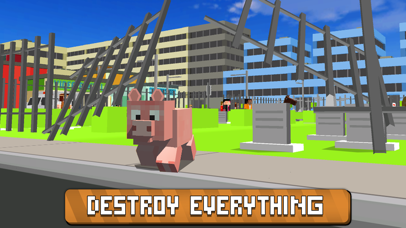 Start your survival right now, with our blocky pig simulator! Don't be a human in the animal world. 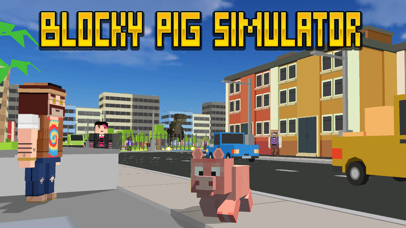 Start blocky city survival, be a pig in the simulator, it is much funnier! Finish all pig quests - in the survival simulator they can be challenging, but funny. 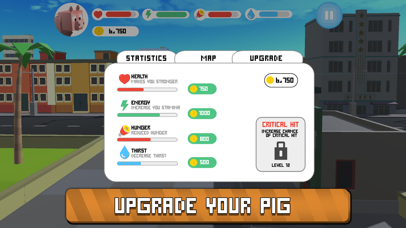 Upgrade your blocky pig and make mess in the city. Wreck and smash down fences with your animal. Complete all city missions, do crazy animal things. 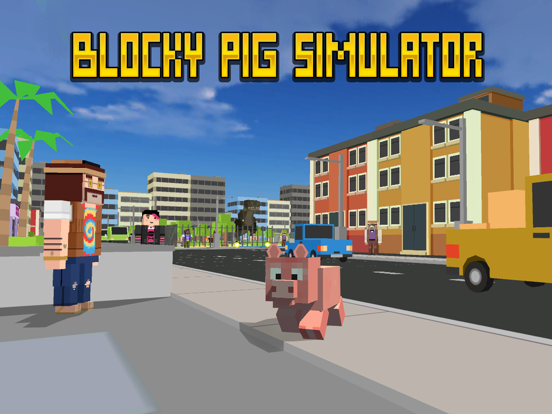 Become a blocky pig now and run across city streets. Choose simulator's mode that you like more - animal survival or quests. In both of them search every corner in survival simulator, you never know what you may find. Eat strange city mushrooms and see what happen with your animal in the survival simulator. Than - try to hit everything in the blocky city simulator. It is easy - simulator controls allow you to run, attack and fire! 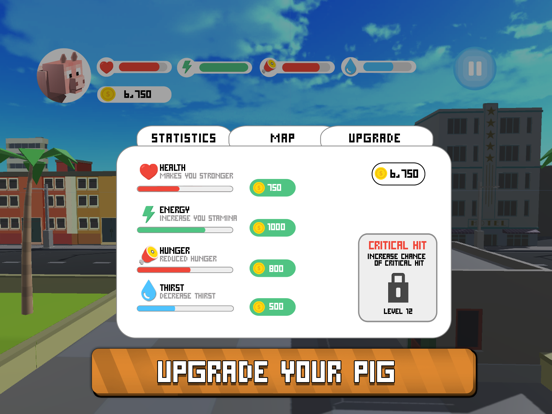 Spend many hours in city survival simulator with your pig. Don't dream to be an animal, be a city pig in animal survival simulator! 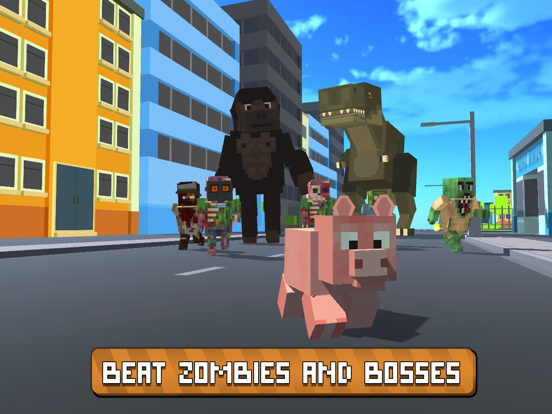 Run wherever you want in city survival mode, or choose animal quests mode and have a fun. Fire a bazooka! Run, eat, crash - be a pig in the simulator is better than real animal. Meet people and city dogs and attack them. 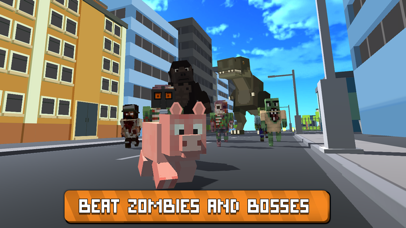 Try a crazy pig survival in a big city with Blocky City Pig Simulator 3D! We enjoy crazy pigs and do our best to make great city animal survival. Everyone likes that animal! Feel like a real bad pig in the city. Maintain your pig energy, survival in the city is not easy for an animal. Explore city locations with your animal, break everything, even hit innocent people right on the city streets. 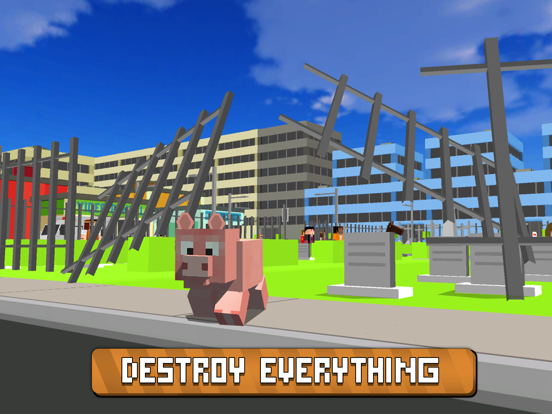 Try Blocky City Pig Simulator 3D right now, be a pig!